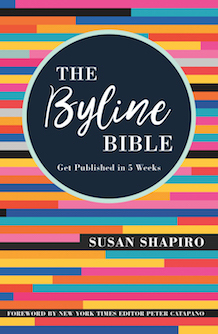 The Byline Bible: Get Published in Five Weeks. Writer’s Digest. Aug. 2018. 256p. illus. According to award-winning writing professor and best-selling author ­Shapiro (What’s Never Said), “The best way to break into publishing is with a great three-page double-spaced personal essay.” Combining hard-won experience, practical lessons from teaching more than 25,000 students (who have since published 150 books), Shapiro exemplifies the truism that simplicity is indeed the last thing found—and offers her own: “Instant Gratification Takes Too Long.” Considering the book’s subtitle, readers with impatient literary ambitions will learn not only how to identify and “target” editors but when, why, and what to pitch. 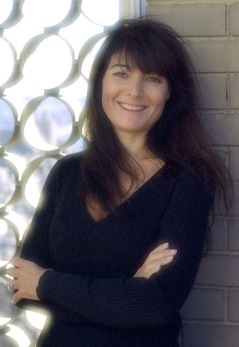 Shapiro’s work is distinguished by providing actual student-written service pieces, op-eds, essays, plus the author’s own successful pitch letters. An oft-noted criticism is that few universities teach students how to employ writing and editing skills. And while the New School offered the author an opportunity to change that, she is quick to add that so long as one has a potent idea, three great pages, and a seasoned editor or guide, nothing else—higher education, experience—matters. The worst that will happen, notes New York Times editor Peter Catapano, is “No, thank you.” VERDICT For novice writers and professionals alike, this comprehensive desk reference will prove invaluable. about what type of stories editors are looking for. There’s so much wisdom in Byline Bible. If you write and want to see your words in print, you need this book. Susan Shapiro’s "instant gratification takes too long" classes, taught at New York University, the New School, and in private seminars, task her students with writing and publishing a piece by the end of the course—for added incentive, attendees are encouraged to pay the fee with newly earned funds from published works. The author will gather an insightful group of gatekeepers to share trade secrets on breaking into the magazine and publishing worlds. Speakers include the Times editor Peter Catapano, the Beacon Press book editor Rakia Clark, and the Rolling Stone editor Jerry Portwood. Byline Bible will teach aspiring authors everything they need to know about writing and selling short nonfiction as a freelancer. In this wholly entertaining guide for freelance writers looking to climb the publication ladder, professor and scribe Susan Shapiro transfers her highly successful, results-oriented course to print in a lively new release. Giving it to you straight while maintaining a healthy sense of relatable optimism and dry wit that keeps you flipping pages, Susan Shapiro’s compellingly readable Byline Bible makes a worthwhile addition to your nonfiction shelf.